Drilling Machine With Diamond Bit is a photograph by Universal History Archive/uig which was uploaded on July 24th, 2016. 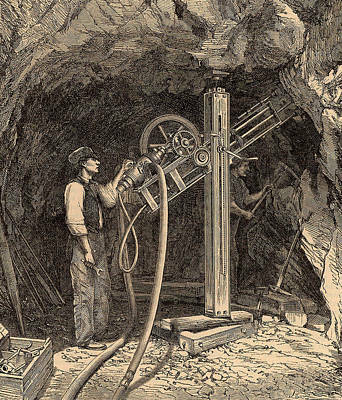 Drilling machine with diamond bit powered by compressed air, invented by the French civil engineer Rudolph Leschot (active 1863) being used to bore the Mont Cenis (Rejus Rail) tunnel connecting France and Italy. 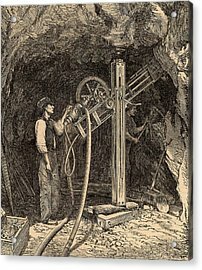 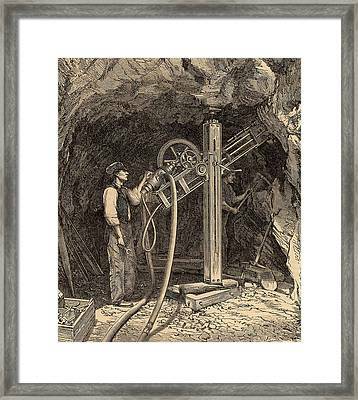 Drilling began in August 1857 and the tunnel opened for rail traffic in September 1871. 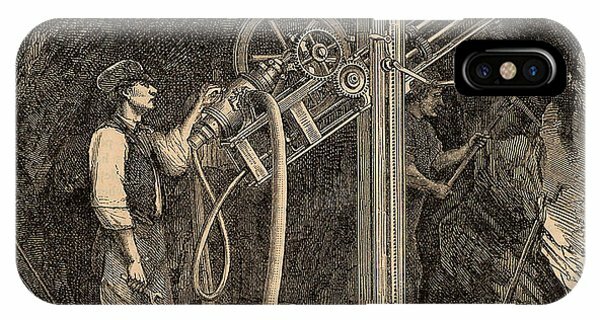 From The World of Wonders (London, c1896). 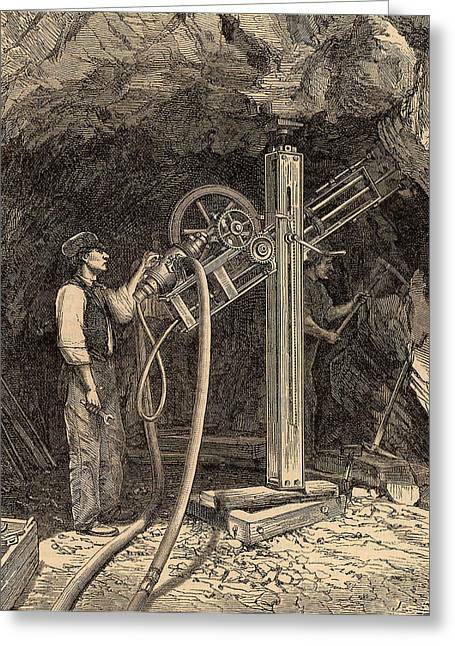 There are no comments for Drilling Machine With Diamond Bit. Click here to post the first comment.